Stunned the Snow Man but wasted the gas! One of many to earn. 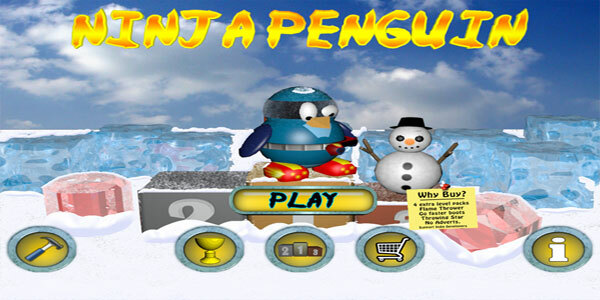 We are proud to introduce our new mobile game Ninja Penguin for iPad, iPhone and iPod Touch. 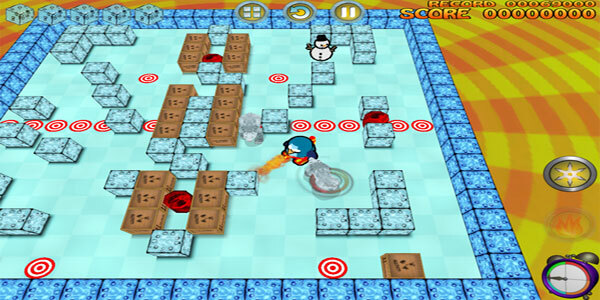 Ninja Penguin is a fast paced action puzzle game. You control a Penguin that needs to earn his Ninja credentials. Play in one of 90 levels across 5 stages. 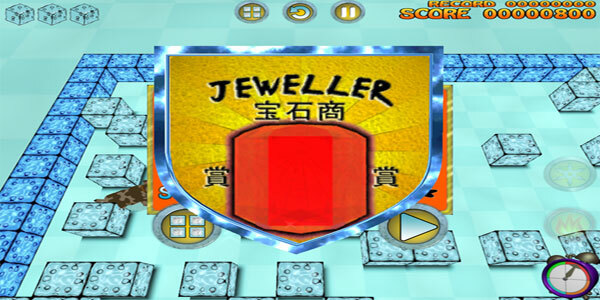 The puzzle is simple, just slide together 3 jewels either horizontally or vertically to win. Well it should be simple but various obstacles and baddies are out to stop you. 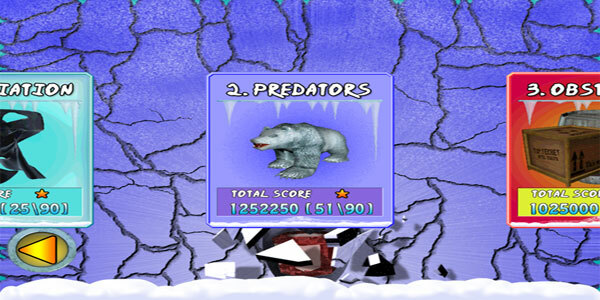 Slide ice to kill the baddies or to help solve the puzzle. You can play the game for free or choose to equip your Penguin with some upgrades. Melt ice or incinerate the baddies with the flame thrower. Use your Ninja star to stun your enemies, be careful not to accidentally crush the ice with it. Having trouble out running the wild life? Equip your penguin with ‘Go Faster Boots’, gain a 150% speed increase. Game Centre support is included to enable you to earn great achievements. Game Centre also stores your world ranking for each level of the game. Can you become number one on all levels? Many upgrades for your Penguin available. Flame Thrower to melt ice or incinerate your foes. Ninja throwing star to stun your enemies. Go faster boots for a 150% increase in speed. You might need these to get away from the dogs! 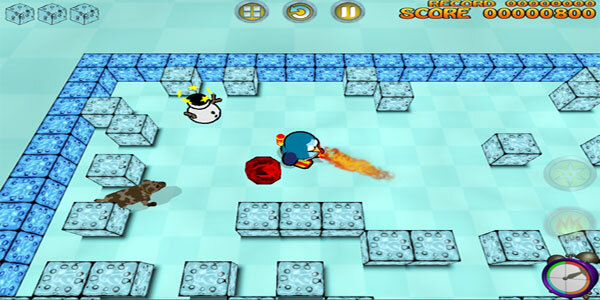 Ninja Penguin for iPad, iPhone and iPod Touch is available on iTunes.